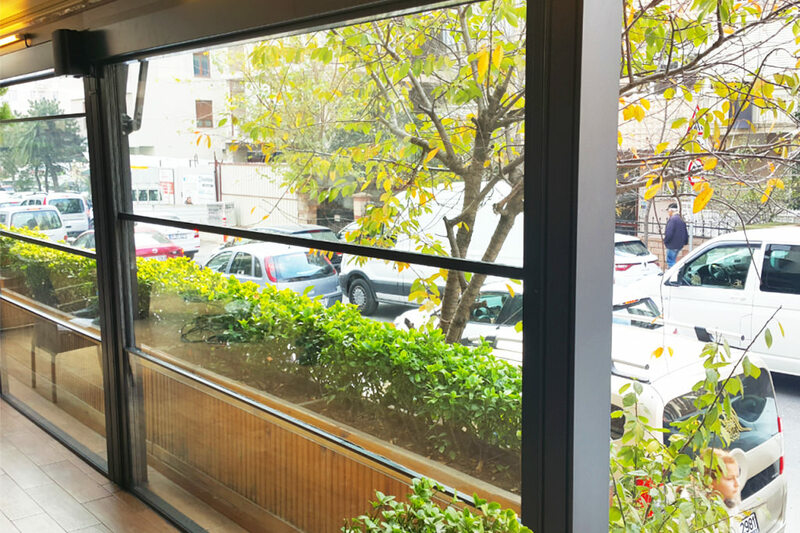 The system is vertical retraction glass system that can be used in restaurants, cafes, hotels, residential and industrial buildings. 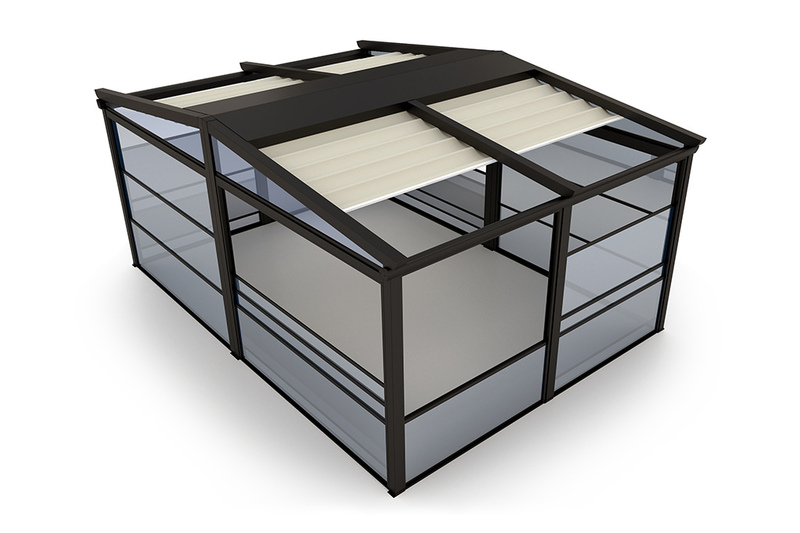 Guillotine Systems aluminum and glass retractable structures are innovative, functional and aesthetically attractive. First of all, you will have better views than sliding panels. You never see mullion profiles especially in open position so nothing block your view. 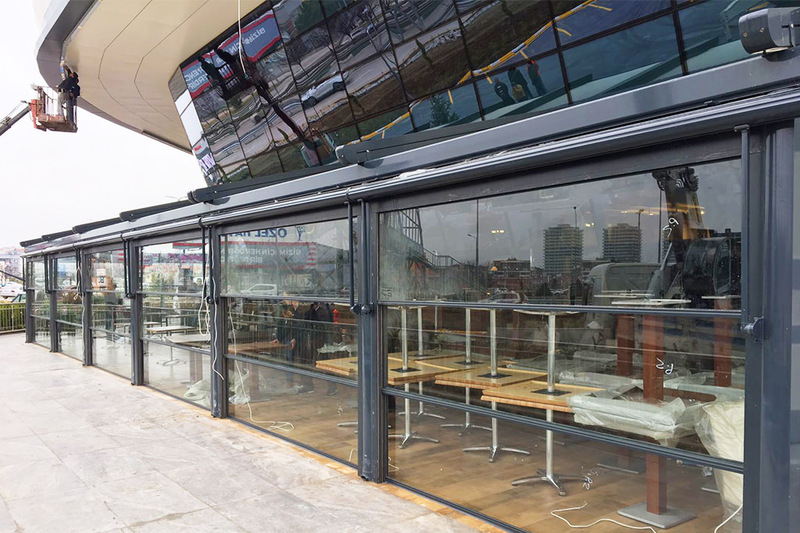 On the other hand, sliding panels should be collected somewhere in the closed position, however guillotine systems create no limitation to space usage, open or closed.Finally , you will have much better ventilation control than sliding or folding panels. 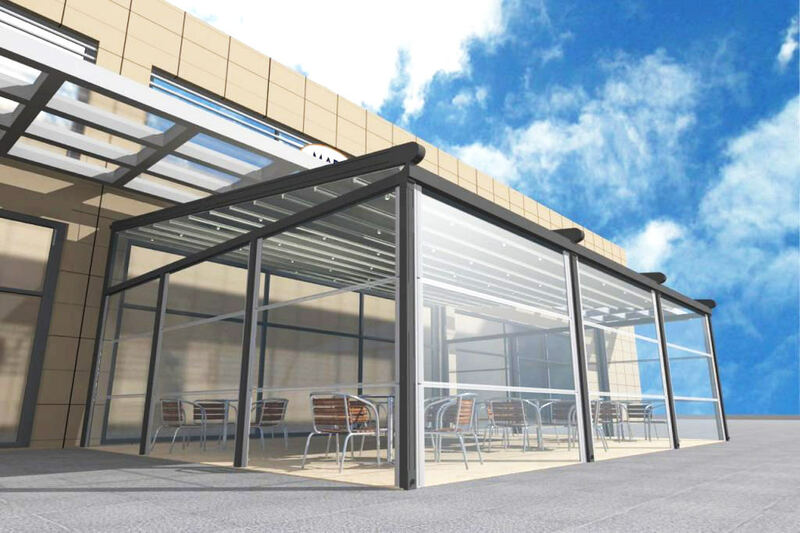 You will manage the open close levels, during the wind, rain or cold wheather or refer to smokers mood. In addition, if you integrate insect or sun screen to PERGOROOF motorized guillotine system so you can avoid sun or insect for your interiror guests.